News stories for the Data Warehouse. A free UG Applicant Data Training workshop is scheduled for August 4, 2015, 1:00 – 3:00 PM in 23 Willard. The workshop is focused primarily on learning about the data available in the UG Applicant database, what tables and fields are accessible, and how to structure queries to retrieve the desired information. 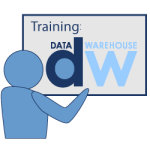 A free Graduate Applicant Data Training workshop is scheduled for July 22, 1:00 – 3:00 PM in 23 Willard. The workshop is focused primarily on learning about the data available in the Graduate Applicant database, what tables and fields are accessible, and how to structure queries to retrieve the desired information.